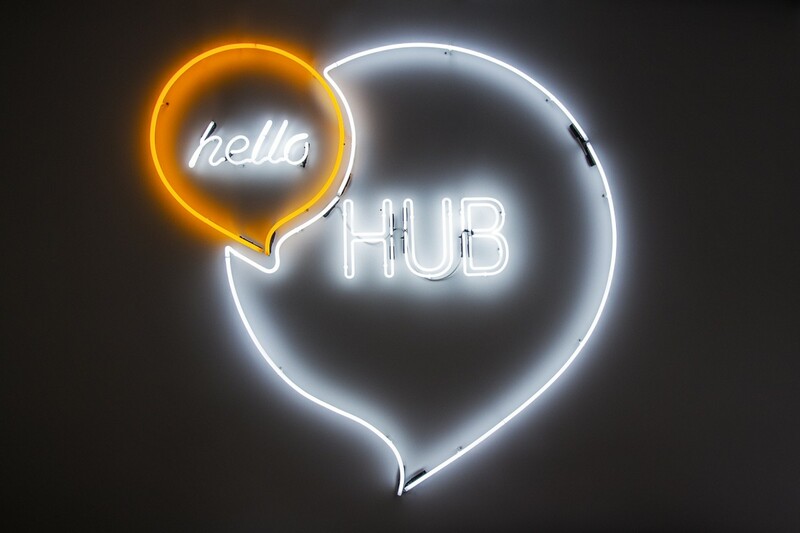 Hello Hub is a creative workspace in Manchester, one of the several UK outposts of the larger Project Hello World dedicated to creating a new generation of flexible and unconventional workplaces for companies of every size. 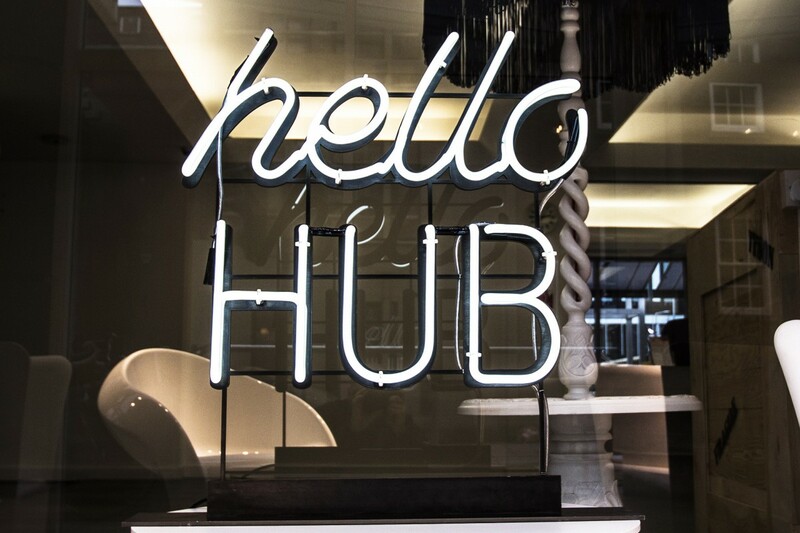 Kemp London was approached by the Manchester Hello Hub designer who wanted to bring in some on-site branding that would create a buzz about their new converted space and add to the modern minimal-chic aesthetic of the building’s interior. 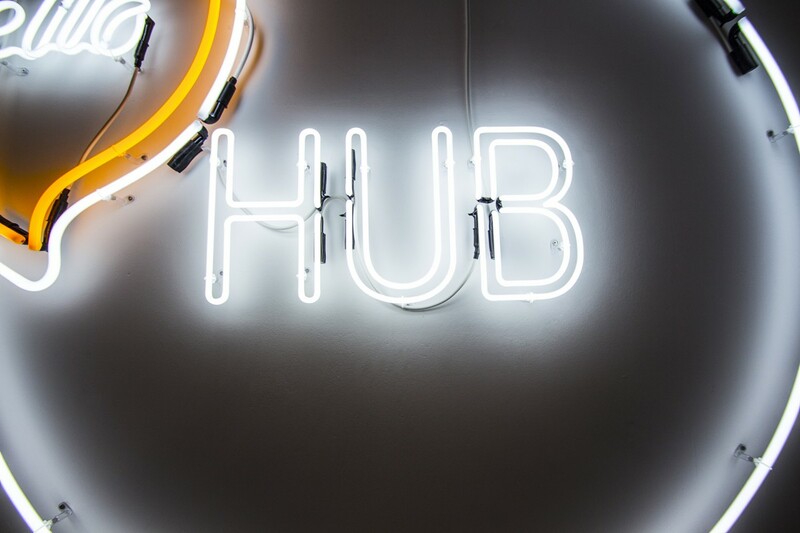 Based on the designs given, Kemp developed a series of neon fixtures interpreting the hub’s logo, including one wall-mounted neon design in the lobby area and one freestanding neon piece mounted on steel framework. 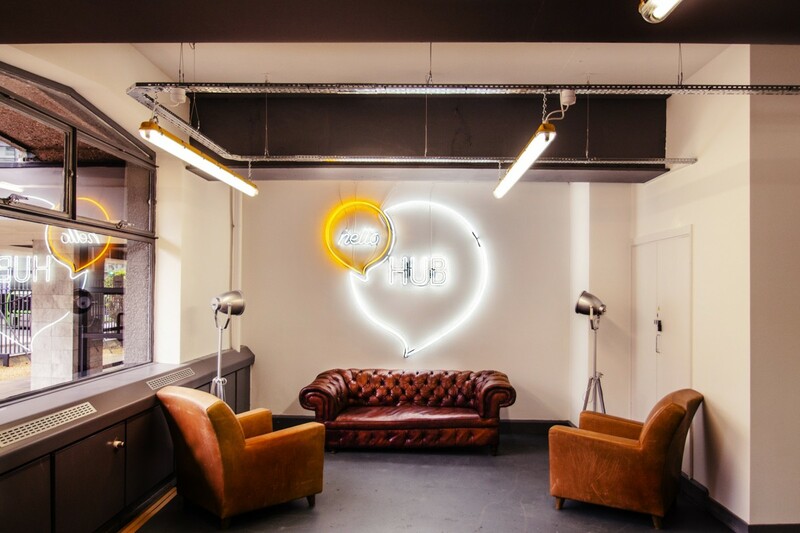 All of the pieces provided by Kemp blended seamlessly with the interior design of the workspace and helped it declare its identity with understated panache.